The Tulane University School of Medicine Bookstore manager takes managing the campus store to a whole new level. During an atypical lull at his bookstore, Maris Hazners will tell you the reason he first came to Louisiana was to escape the snow and cold winters in his native Rochester, New York. But even then, you get the impression that the bond between the Barnes & Noble College bookstore manager and the campus of the Tulane School of Medicine is about a lot more than just climate. In one of those special connections that link man, mission and a certain sense of geography, Hazners and Tulane seem to go together in a unique and affirming partnership. The Tulane University School of Medicine is perhaps less of a campus and more a collection of buildings in the heart of downtown New Orleans, which is why the bookstore helps foster a very unique sense of belonging. 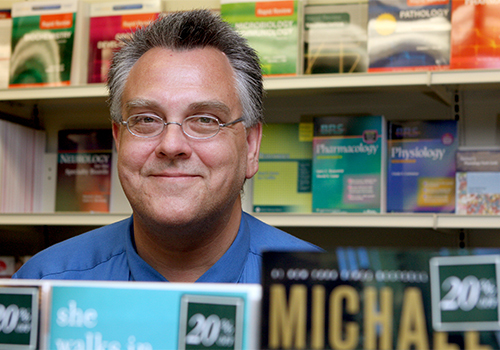 “Maris and the bookstore are very much part of the community,” remarks Marc Kahn, MD, Sr. Associate Dean for Admissions and Student Affairs. “He’s a friend and a confidant of the students, and he knows them by name,” he adds. 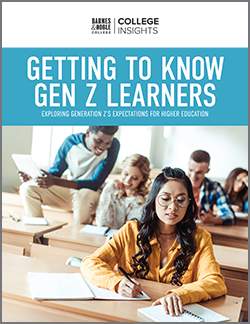 That knowledge also extends to the role of guiding students to specific administration and faculty resources that can also help them in their college lives, and knowing that third and fourth-year students on their clinical rotations often prefer downloading their study aids to phones and iPads, while others prefer hard copy and rental options. The store isn’t just a resource for students either, as staff and faculty are regular customers for everything from greetings cards to children’s books. As a result of the aftermath, the Tulane Class of 2010 was uniquely independent and interdependent on each other as a very close-knit student body, and their intrepid nature inspired Hazners to give them something to remember their days at Tulane. It was a CD of music, which he titled ‘All My Best to the Best.’ Hazners also promised them, whenever he needed a physician, he’d turn to one of them. Today, and continuing that tradition, each member of each graduating class receives one of Hazners’ by now famous CDs, uniquely themed and chosen from his musical library spanning the best of the ‘eighties. 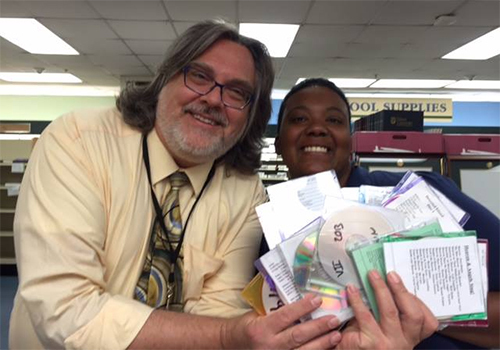 Tulane University School of Medicine Bookstore Manager Maris Hazners shows off some of the music CDs he’s put together over the years. 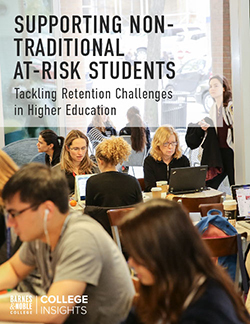 Every year the Tulane University School of Medicine accepts just 175 students from over 10,000 applicants, and those students make up the unique customer base at the bookstore. “They’re eager, educated and I love their aspiration. They’re here to help others and better another person’s life — and they’re always so upbeat and positive,” he says. That admiration is reciprocated by the students, and Dr. Kahn points to the 2011 Owl Club Spirit of Tulane Award Hazners received for consistently going ‘above and beyond the call of duty’ in helping the students he serves. “As their bookstore, we’re here from start to finish,” Hazners points out. “During orientation, we’re part of the group that donates the white coats to the first-year students, and at graduation, we supply the caps and gowns.” It’s support for the students throughout their college lives, and sometimes even beyond. And by the way, Hazners made good on his promise to those students who weathered Hurricane Katrina. His primary-care physician is a member of the Tulane University School of Medicine class of 2010.